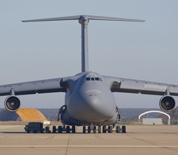 Travis AFB is located in Fairfield, California and is known as the "Gateway of the Pacific" due to the high cargo and passenger traffic that passes through the base airport. The 60th Air Mobility Wing of the Air Mobility Command serves as host unit. Additional units at Travis include the 15th Expeditionary Mobility Task Force, the 349th Air Mobility Wing and the US Army's 3rd Brigade 91st Division. The Air Force Base Heritage Center, home of the Jimmy Doolittle Air & Space Museum and the Museum of Military Aviation History, is a popular attraction for visitors. The center contains one of the largest collections of military aircraft on the west coast. This Travis AFB directory features the critical info you’ll need to navigate through the many facilities and recreational opportunities available on base.